Don’t we just love to love hats? Almost as much as we adore bags and worship fabulous shoes. But no, hats are in a category all of their own. Love them or hate them they are an essential accessory for some occasions. One such occasion being … baby it’s cold outside. That reason aside, I buy hats just because they’re beautiful. They don’t have to perform any duty, fulfill any purpose other than just that – a veritable breathtaking accessory. 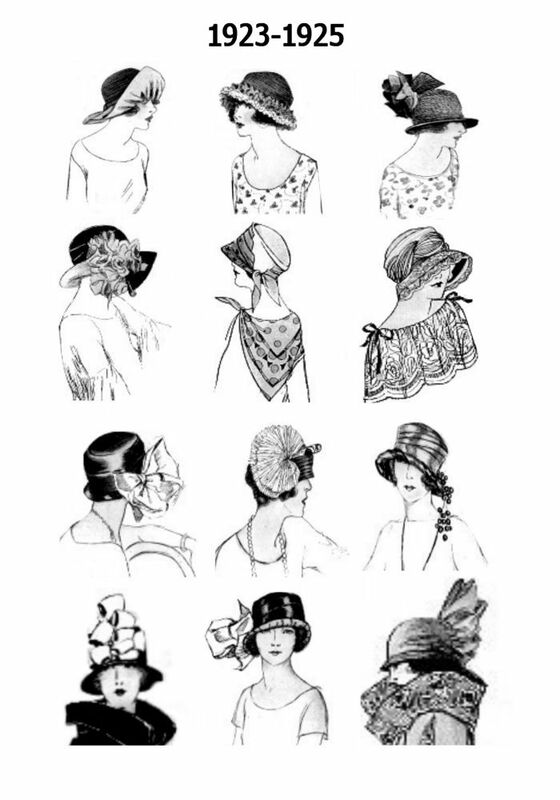 Check out the hats on the right – they were one of several pages of hats listed as those fashionable in the 1920’s. 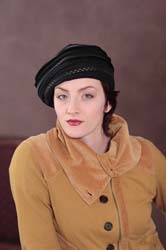 It must have been some decade … there are about five pages of very, very different looking styles of hats. They say form follows function, or is it perception is everything. I never get those clichés right. 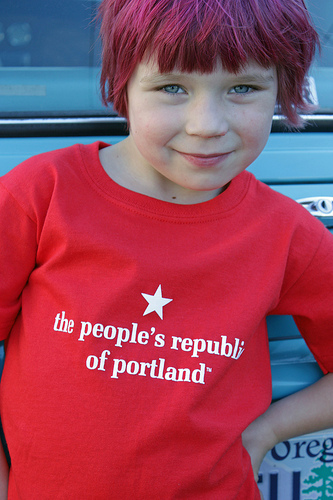 Anyhoo … the reason I sat down to exercise my right to write is to tell you about what’s up with Elizabeth Rohloff, one of the few, the very, very brave and busiest, of Portland’s consummate designers. 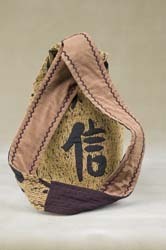 Editor’s note: Rohloff and the Susan Sokol Blosser connection=Power of the Purse check the last graph!Elizabeth and I shared a little bit of heaven (Happy Hour Heaven) the other night, at the Secret Society Lounge (116 NE Russell). ed there around the turn of the century … that’s all I’m saying. So I have done my best my dears, to share with you what I know for sure on this Thursday evening. I know not much but what I do know is that are some terribly talented women out there and Elizabeth Rohloff is among them. So don’t you want to know what she’s going to be doing in the next few weeks? Of course you do. T.Ruth Artspace for a pre-show sale on Thursday, April 22, 2010 5-9p.m. One of these premiere events is at the Convention Center and the other is at the Portland Art Museum. You will have to clone yourself like Elizabeth is doing, to get into both. But they will definitely both be a fun night out! BTW Elizabeth is designing a purse for Susan Sokol Blosser, c0-founder of the Sokol Blosser Winery in the Willamette Valley Dundee Hills. Since I’ve been going to school I’ve been scouring the web when I need to buy something. 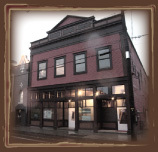 So I noticed when Frock Boutique on NE Alberta recently got their web page up and running. Check it out! The two women who own the place — Alison and Angie are a hoot! They met back in the day when in college and hooked up at Burning Man. Since then they’ve both settled down (ok not completely) a bit. They’re co-business partners and even started a new line of onesies and t-shirts. I love their models. I think there’s a husband in there, at least one of their kids and the ahh ooohh aaahh tiny beautiful baby. You have to read their Frockboutique blog as well. They are hilarious. Frock as you know (or as you should know, my dear) is part of the by-now-famous Bargain Hunting 101 sale on Super Bowl Sunday. It’s billed as the “Mother of all clearance sales” and I have to say I have never been to a more artsy and crowded sale … So get there early! For the biggest collaborative clearance sale ever!! Kate Towers … On Etsy? Have you seen Kate Towers new website? Ooooh lala … it’s creative and whimsical. Rumor has it that she helped illustrate the home page on her site. Of course Towers co-owned the Seaplane Boutique she started with Holly Stalder. And you can also shop for her creations on Etsy. although she only has three items on the site. Love the gold dress. And the pink ruffles. You can add the ruffles to just about anything you’re wearing to dress it up. Etsy is becoming more and more the choice for ever-evolving fashionistas. Plus you can buy almost anything and everything else you need (read want, crave). Etsy even has things like vintage patterns, shoes, underwear and costumes. Yes my dears … and check out all the Valentine Day heart themed specials.